Aviation unions under the aegis of Air Transport Services Senior Staff Association of Nigeria, the National Union of Air Transport Employees and the National Association of Aircraft Pilots and Engineers have called off their strike action against Bi-Courtney Aviation Services Limited. Naija News learnt that the strike was called off last night, when the Nigerian Civil Aviation Authority and other security agencies met with the unions and the BASL management had an agreement which was reached for the firm, the operator of the Murtala Muhammed Airport Terminal Two, to place the sacked workers on whose behalf the strike was called, on redundancy while they negotiate their benefits, among other demands. 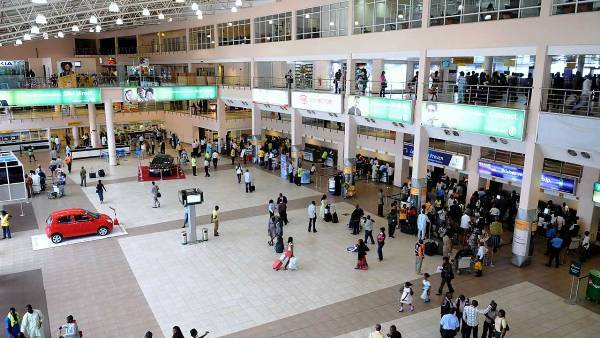 Six domestic airlines operating at the MMA2 had earlier on Thursday, temporarily moved to the General Aviation Terminal as a result of the industrial action. Dana Air, Med-View Airline, Azman Airlines, Aero Contractors and Overland Airways operate their flight services from the MMA2 but have been unable to function normally from the terminal due to the strike action. As earlier reported by Naija News, the terminal was under siege on Wednesday and Thursday when aviation workers barricaded the entrance to protest the alleged sacking of 24 staff members by the BASL over their interest to join the unions. 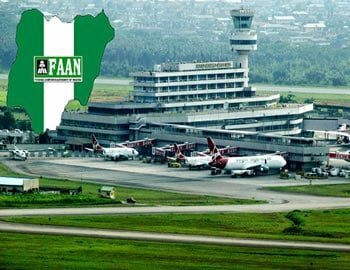 The airlines on Thursday moved their operations to the GAT being operated by the Federal Airports Authority of Nigeria, pending when the problem between the BASL and the unions would be resolved. Meanwhile, Dana Air had threatened to downsize its workforce if the industrial action against the BASL lingered. “Without the passengers, there won’t be any airline, regulator or industry, and we believe they shouldn’t suffer for what they did not contribute to. While we respect the rights of both parties to engage each other based on extant laws, we call on all concerned to intervene and save the industry from further crises,” he added. The unions had on Wednesday said they would not back down until their requests were met. The spokesman for BASL, Steve Omolale, said members of staff of the company also embarked on a peaceful demonstration on Thursday as information filtered in that the unions were planning to invade and destroy the facilities at the terminal. He stated, “We have it on good authority that unions in the aviation sector, who have grounded our operations for days now, are making clandestine moves to invade our terminal in the night and destroy the facilities therein. Omolale added that with this new revelation, the company believed that the unions’ alleged grievances went beyond the protestation of the disengagement of the 24 workers, who they claimed were their members. “We view this as an act of economic sabotage and a sustained campaign to truncate our concession. The BASL therefore appeals to the Nigeria Police Force to enforce the various court orders granted it, restraining the unions from further disrupting the operations of the MMA2,” he said.